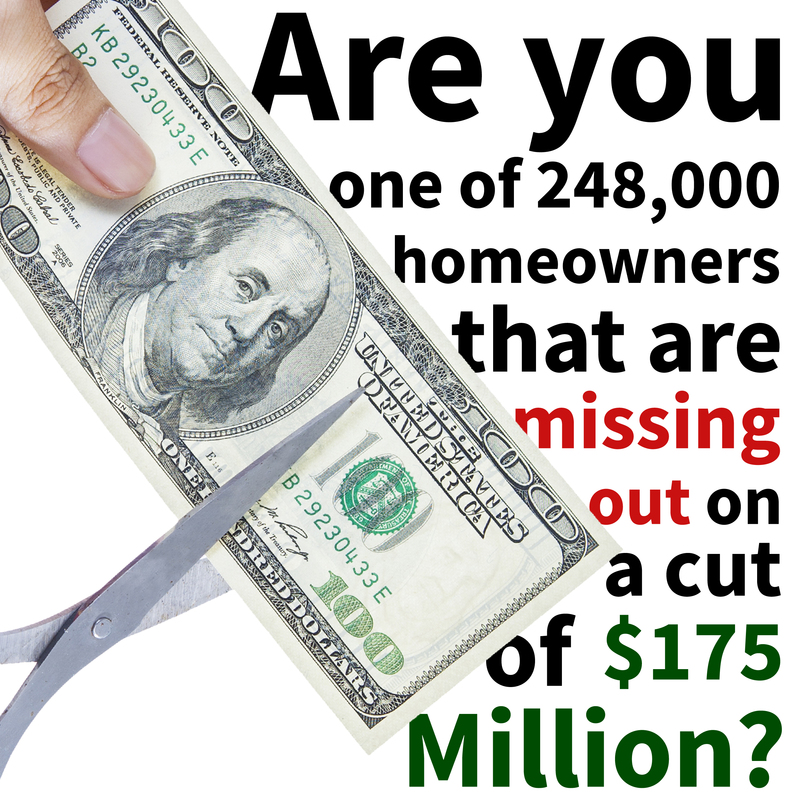 The U.S. Department of Housing and Urban Development (HUD) is working to locate approximately 248,000 home owners who are owed a total of $175 million in FHA mortgage insurance refunds. While the HUD has recently increased its efforts to find these home owners, some have not been found – mostly due to relocation and a lack of current address records. But why does HUD owe home buyers money? Before January 1, 2001, it was mandatory for all home buyers to purchase mortgage insurance on FHA loans. When a home owner with an FHA-insured loan pays off the loan within five years, they get a portion of the mortgage insurance premium back. It is similar to any home owner’s fire insurance policy, for example, if you purchase a policy for one year, and then decide to move from your home after six months, a portion of the premium is refunded. There are two different kinds of refunds, the first, called the “premium refund,” is available to home owners who: originated their loan after September 1, 1983, paid an up-front premium for insurance at their closing, and did not default on their mortgage. The second refund, called the “distributive share,” is available for home owners who: acquired their loan before September 1, 1983, paid on their loan for over seven years, and terminated their FHA insurance before November 5, 1990. How do you find out if you’re owed money? Find your FHA loan number and visit HUD’s website or call toll-free 1-800-697-6967.